Thanks to Labels Littles for inviting me over to tour the new store and opening my eyes to the world of kids consignment. I like thrift store charity shops the best when I'm shopping for myself. However, I've run into some obstacles hunting for clothes for Violet. I come across a lot of worn and outdated pieces. Plus she's six now (I know, I can't believe it either). She has her own mind regarding what she will wear. The limited selection at thrift stores hardly ever make the cut. 1. You can earn money. When V was an infant, half of her closet was new with tags still on. 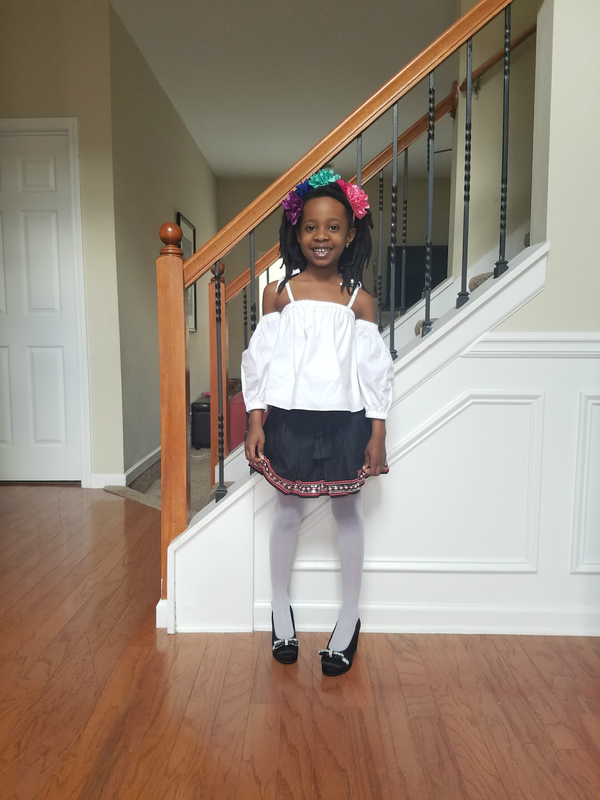 Gifted clothes were bought at a rate higher than she could possibly wear. You can consign, trade or outright sell those pieces to consignment stores. Labels Littles pays you 50% of the sold price on an item. There's no minimum amount to cash out either. 2. On season inventory. Kids grow and change very fast. 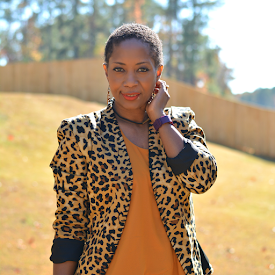 Unlike in retail stores, you will find clothes that they can wear right now and not risk them growing out of once the appropriate season rolls around. 3. Brands you love at all price points from bargain to luxury. I spotted kids brand favorites Gap, OshKosh, and Gymboree along with Ralph Lauren, Boden, Hudson, and Versace. 4. Better quality. You aren't going to find damaged goods with consignment. They don't accept faded and damaged clothing. Items have to be clean and gently used for consignment. 6. Customer Service. I can't speak for all kids consignment stores but Labels Littles is all about the personal experience. You give them your wish list and they will give you a call if that piece becomes available. 7. Contemporary Fashion. While I may love a good 80s find, V does not. Kid fashion has gotten a lot better over the years. While I may love rick rack trim and puffed sleeves, V has no interest. Graphic tees and leggings are her go to style. Consignment stores keep racks fresh and on trend. Nothing stays on the rack longer than 90 days. 8. Convenience. 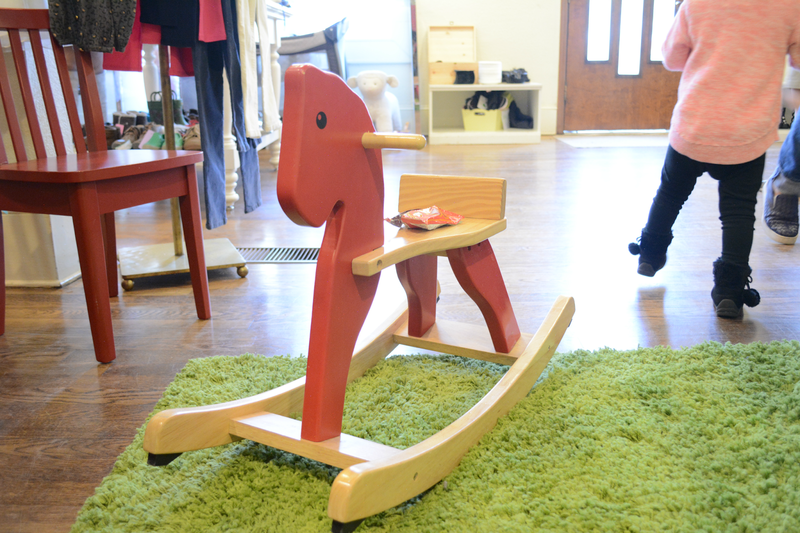 Consignment stores are a one stop shop for all kid needs. Labels Littles have kids sizes and accessories for infants up to girls size 16 and boys size 20. They also have toys, furniture and maternity clothes. 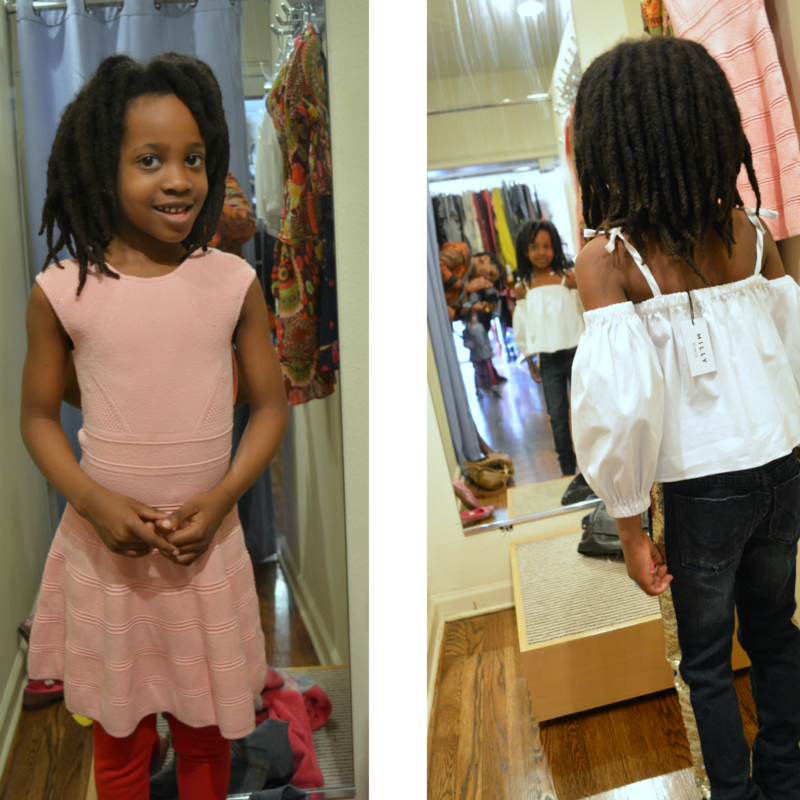 Our trip to Labels Littles was eye opening for me and a total thrift score for V. I bought her a super cute Milly's Minis off the shoulder top that was brand new with tags. Originally it was $120. I paid $27. As her much loved pair of wedge heels from Grandma are now too small, she was over the moon about the Stuart Weitzman Elida platform bow wedges I found. Originally $88. They were $6! No tag but absolutely no wear at on the sole or inside the shoe. 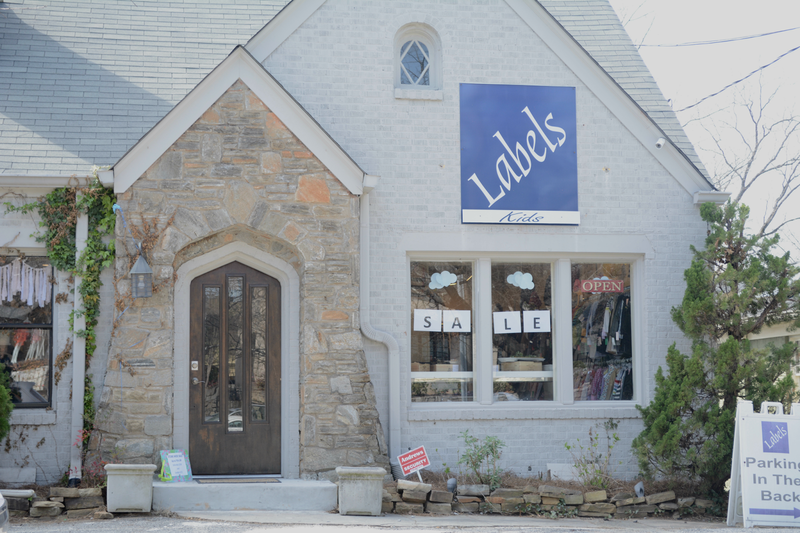 If you're in Atlanta and want to check out Label's Littles, you can visit them at 3208 Paces Ferry Place. There's no appointment necessary for consignment and they do offer pick up service in the Atlanta area. If you're outside of the Atlanta area, you can check out Labels Littles amazing selection on Instagram or Facebook. They do ship! 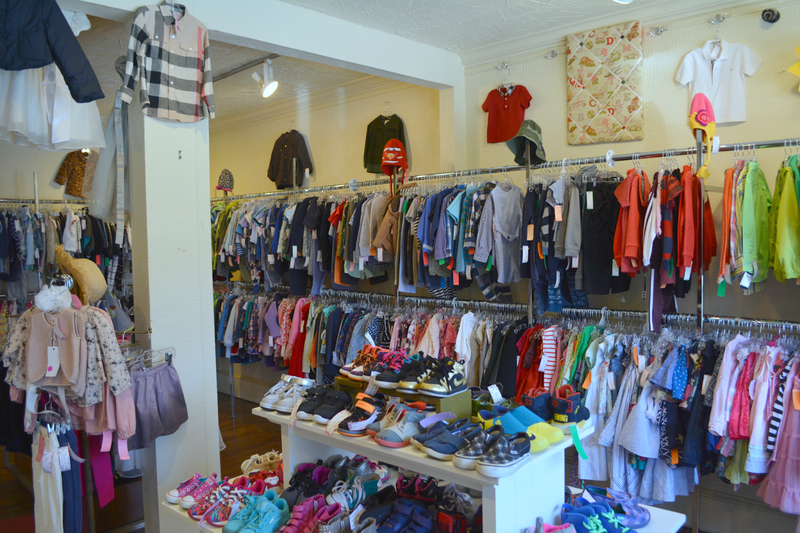 Do you buy and sell at kids consignment stores?